Pope Francis says that watching how children interact and play can teach us a lot about the relationship we should have with Jesus. The Pope said this today during the general audience in the Vatican, which he dedicated to a reflection on the Christ Child. Noting that many saints have shown us a great devotion to the Infant Jesus, particularly St. Therese of Lisieux, the Pontiff said from Him, we see the humility of God. “He, the great, is humble and is made a child. This is a real mystery! God is humble. This is beautiful,” Francis said. The Holy Father went on to consider two characteristics of childhood that are enlightening for our relationship with Jesus. The first characteristic the Pope mentioned is their desire for attention. Next, Francis noted, children love to play. If we want a child to have fun, the Holy Father observed, we have to figure out what pleases them, rather than selfishly making them do what we want. In these days of Christmas, we are placed before the Child Jesus. I am sure that in our homes still many families have set up their mangers, carrying on this fine tradition which dates back to St. Francis of Assisi and that keeps alive, in our hearts, the mystery of God Who becomes man. The devotion to the Child Jesus is very widespread. Many saints have cultivated it in their daily prayer, and they wanted to model their lives on that of the Child Jesus. I am thinking in particular of Saint Theresa of Lisieux, who as a Carmelite nun took the name of Teresa of the Child Jesus and the Holy Face. She – who is also a Doctor of the Church – was able to live and witness to that '”spiritual childhood” which truly assimilates, in the school of the Virgin Mary, the humility of God who, for our sake, became a child. And this is a great mystery, God is humble! It is we who are proud, filled with vanity and we believe ourselves to be something great, [but] we are nothing! He, the great, is humble and is made a child. This is a real mystery! God is humble. This is beautiful! There was a time when, in the divine-human person of Christ, God was a child, and this must have its own special meaning for our faith. It is true that His death on the Cross and His Resurrection are the ultimate expression of His redeeming love, but do not forget that all His earthly life is revelation and teaching. During the Christmas season, we remember His childhood. To grow in faith, we need to contemplate Baby Jesus more often. Certainly, we do not know anything much about this period. The few indications we possess refer to the imposition of the name eight days after His birth and the presentation in the Temple (cf. Lk 2.21 to 28); and also the visit of the Magi with the consequent flight into Egypt (cf. Mt 2.1 to 23). Then, there is a big jump up to when he is 12 years old, when Mary and Joseph go on a pilgrimage to Jerusalem for Passover, and instead of returning with His parents in the Temple, he stops to talk to the doctors of the law. We find out, first of all, that children want our attention. They must be the focus, why? Because they are proud? No! Because they need to feel protected. And it is necessary for us to put Jesus at the center of our lives and to know, even if it could seem paradoxical, that we have a responsibility to protect Him. He wishes to be in our arms, wishes to be cared for and to be able to fix His gaze on us. Also, make Baby Jesus smile by demonstrating to him our love and joy because He is in our midst. His smile is a sign of love that gives us the certainty of being loved. Children, finally, love to play. To play with a child, however, means abandoning our logic to enter theirs. If we want them to have fun, you need to understand what pleases them, and not be selfish and make them do things that we like. It is a teaching for us. Before Jesus, we are called to give up our pretense of autonomy – and this is the core of the problem: our pretense of autonomy – to welcome instead the true form of freedom, which consists in knowing who we have in front of us and serving Him. He, this child, is the Son of God who comes to save us. He came among us to show us the face of the Father, which is rich in love and mercy. Hold, then, the Child Jesus in our arms, putting ourselves at His service: He is the source of love and serenity. It will be a good thing, today, when we go home, to go near the crib and kiss the Baby Jesus and say, “Jesus, I want to be humble like you, humble like God,” and ask Him for this grace. The Prefecture of the Papal Household today published a communique reporting that during the year 2015 a total of 3,210,860 faithful attended the various encounters with Pope Francis: general audiences (704,100), special audiences (408,760), liturgical celebrations in the Vatican Basilica and in St. Peter's Square (513,000), and the Angelus and Regina Coeli prayers (1,585,000). These data refer only to events held in the Vatican and do not include others attended often by large numbers of faithful, for instance during the apostolic trips to Sri Lanka, the Philippines, Sarajevo, Ecuador, Bolivia, Paraguay, Cuba, the United States of America, Kenya, Uganda and the Central African Republic, or during trips within Italy and pastoral visits in the diocese of Rome. These are approximate data calculated on the basis of requests to participate in encounters with the Pope and invitations distributed by the Prefecture, which also specifies that estimates are given for attendance at events such as the Angelus or Regina Coeli and for celebrations in St. Peter's Square. At the start of the new year, Pope Francis will be praying that interreligious dialogue will produce fruits of peace. The Apostleship of Prayer announced the intentions chosen by the Pope for January 2016. The celebration of World Peace Day by the Church on January 1 is a time to reflect not only on the present but also on the year ahead. In his message for this day Pope Francis urged all to be more concerned about the welfare of others. As on a number of previous occasions the Pope used the phrase the “globalization of indifference” as the focus of his reflections regarding our obligations toward the wider world. He appealed for a greater awareness of our interdependence and to be concerned for our brothers and sisters who are vulnerable. Without our common fellowships with other humans, who like us are created in God’s image and likeness, we would be less human, Pope Francis warned. Indifference is not something new, the Pontiff admitted, but in today’s world it is broader, globalized. There are different kinds of indifference the Pope explained. The first is toward God, as a result of a false humanism and materialism. “We feel self-sufficient, prepared not only to find a substitute for God but to do completely without him. As a consequence, we feel that we owe nothing to anyone but ourselves, and we claim only rights,” noted Pope Francis in his message (n. 3). The second is indifference toward our neighbors, which can manifest itself in various ways. We may be well-informed about world events, but at the same time without any personal engagement. In part this can be due to the overload of information that leads to a numbing of our sensibilities. Another manifestation of indifference is a lack of concern for others. “Some people prefer not to ask questions or seek answers; they lead lives of comfort, deaf to the cry of those who suffer. Almost imperceptibly, we grow incapable of feeling compassion for others and for their problems; we have no interest in caring for them, as if their troubles were their own responsibility, and none of our business,” Pope Francis explained (n. 3). Indifference toward God and neighbor can prolong situations of injustice that in turn will result in conflicts or insecurity. “Indifference can even lead to justifying deplorable economic policies which breed injustice, division and violence for the sake of ensuring the wellbeing of individuals or nations,” the Pope warned (n. 4). He then contrasted this indifference to the solidarity with humanity that Jesus demonstrated. He not only took our flesh, but he also taught the crowds, fed the hungry and helped those in need. “We too, then, are called to make compassion, love, mercy and solidarity a true way of life, a rule of conduct in our relationships with one another,” the Pope said. Solidarity, he explained, quoting Pope St John Paul II, is a firm commitment to the common good and is a moral and social attitude. As St John Paul II explained in his encyclical Sollicitudo Rei Socialis solidarity enables us to see the other not merely as an instrument but as our neighbor and is a vital part of being able to achieve world peace. “In the light of faith, solidarity seeks to go beyond itself, to take on the specifically Christian dimension of total gratuity, forgiveness and reconciliation,” the encyclical explained (n. 40). Solidarity is then, St John Paul II observed, a Christian virtue and has as its model the example of the life of the Trinity, three persons in one God. Challenging the globalization of indifference was also a central point in Pope Francis’ Lenten message. We need an interior renewal and to listen to the voice of the prophets in order to overcome the tendency to withdraw into ourselves, the Pope urged. God’s love, which we witness in the example of Jesus, enables us to offer our service to others. This love, should Pope Francis said, be universal so that we will shall not fail to see the Lazarus who sits by our doors. We can do this through our prayers, uniting ourselves to others here on Earth and to the saints in Heaven in a communion of love through which indifference is conquered. In addition, every Christian community is called to engage in society and to be missionary, especially with the poor and those far away. Pope Francis invited people to a conversion of heart and to form a merciful heart, which does not mean a weak heart, but rather a strong and steadfast heart, open to God. “A heart which lets itself be pierced by the Spirit so as to bring love along the roads that lead to our brothers and sisters,” Pope Francis commented (n. 3). This is not a question directed to others, but to each one of us, he insisted, as he explained the need to overcome the culture of indifference. Pope Francis, no doubt, wishes us to reflect on how different this year which is just starting could be if the globalization of indifference can be overcome by the virtue of solidarity. During the Christmas season, we are confronted more than at other times of the year with the sad reality of friends and family who have fallen away from the Church. 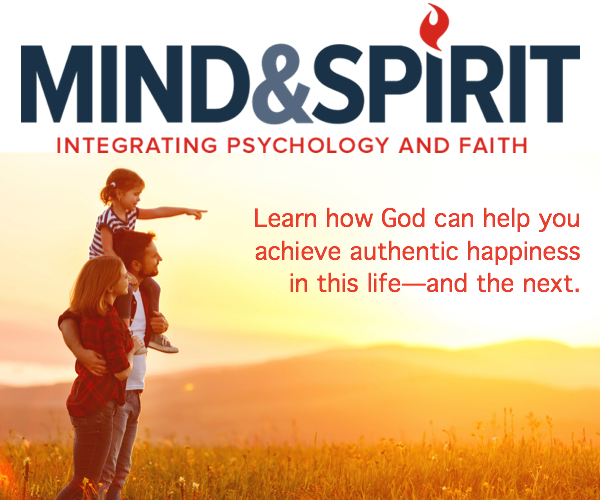 A new resource was released this year to help the faithful to re-evangelize our loved ones, and specifically to help parents reach out to their children who are no longer practicing the faith. It is designed by Brandon Vogt, who despite his young age, has already offered to the Church a host of tools for spreading the Gospel. He told ZENIT about this new resource, called Return. Q: In a nutshell, what is RETURN? RETURN Video Course – 16 professionally-filmed video lessons with over 220 minutes of HD content. This reveals a complete game plan for drawing your child back. RETURN paperback book – Companion guide to the Video Course which builds on its content and features a Foreword by Bishop Robert Barron. RETURN Master Series – Video interviews with 10 Catholic leaders who are experts at helping people come back to the Church, including Dr. Scott Hahn, Jennifer Fulwiler, Fr. Michael Schmitz, and many more. RETURN Seed Gifts – The 12 most effective DVDs, books, and CDs to give your fallen-away child, including Bishop Barron’s CATHOLICISM series, booklets from Catholic Answers, and books by Peter Kreeft, Matthew Kelly, and more. RETURN Private Community – An exclusive, online community where parents can join hundreds of others to find encouragement and support as they draw their children back. Q: You’ve written books on the new media, Catholic social teaching, and evangelization. Why this topic? Vogt: It emerged from two places. First was my experience, over the last several years, speaking at Catholic events around the country. Each event typically closes with a Q&A session and, inevitably, the most common question I hear is some version of, “My son/daughter has left the faith and I’m devastated. What should I do?” I’ve heard this hundreds of times, and my other Catholic speaker friends confirm the same thing; it’s the most deeply-felt problem among Catholic adults. Think about what that means. Over the last 20-30 years, half of the babies you’ve seen baptized, half of the children you’ve seen confirmed, and half of the couples you’ve seen married in the Church are gone — they’re no longer Catholic. Worse, for every person who enters the front door of your parish, 6-7 people are leaving through the back. We haven’t done nearly enough to resolve this problem. We have lots of books and programs on keeping our kids Catholic or raising good Catholic children — and obviously these are needed — but we don’t have much for parents after their children have already drifted away. That’s why I created RETURN. Q: What sets RETURN apart from other resources designed to help people come back to the Church? Vogt: Three main things. First, it was written specifically for parents and grandparents. There are many resources devoted to helping people, in general, come back to the Church. They contain broad tips which can be applied to friends, co-workers, or even people you interact with online. However, as we all know, the parent/child relationship is so distinct from other relationships. There are things a parent can say or do that will have a much bigger impact on their child than on a friend or coworker, and on the other hand, there are things parents should not say or do to their child, simply because of their relationship. I thought it was time that parents and grandparents had a resource specifically designed for them, one that took into account the delicate, unique bond they have with their child. A second distinction is that RETURN is multi-faceted. It’s not just a book. It also includes a 16-part video series (professionally filmed in HD), the “Master Series” collection of expert interviews, the “Seed Gift” package of DVDs, books, and CDs, and the RETURN Private Community. It pulls together the best advice from the best minds in the Church, and presents it in many different formats. Q: What are some of the big reasons why young people drift away from the Church? Vogt: It’s easy to assume that young people leave because they’re self-centered and lazy. But in general, this isn’t the case. A growing number of surveys from individual dioceses like the Diocese of Springfield, alongside massive nationwide surveys like that of the Pew Research Center, have identified some of the real reasons people leave. The most common one is that people drift away unintentionally, over time. Depending on the survey, roughly 7 in 10 former Catholics say they “just gradually drifted away from the religion” or they just “lost interest.” In other words, nothing really pushed them away. The problem was nothing anchored them to the Church. And we know the strongest anchor is a personal encounter with Jesus Christ — they never experienced that. The second most common reason people drift away is because their “spiritual needs were not met.” The majority of these people end up in an Evangelical or non-denominational community. These people have a deep interest in God and spiritual things. They pray and take the Bible seriously. But for whatever reason, they experienced the Catholic Church as spiritually impotent. The good news is that all of these problems can be overcome. In fact, millions of people who once felt this way about the Catholic Church have switched their view. If they can do that, any young person can. Q: What are some big myths about fallen-away Catholics? Vogt: Probably the biggest one I hear from parents, priests, and Church leaders is, “Oh, they’ll come back to the Church eventually once they get married or have kids.” That may have been true in decades past, but studies affirm again and again that it’s no longer true today. One reason is that young people are delaying marriage and childbearing longer than ever before. In 1960 the median age for first marriage was 23 for men and 20 for women; it’s now 29 and 27, respectively. Those 6-7 extra years away from the Church make it far harder to return. Second, fewer and fewer young people are getting married in the Church or, when they have kids, getting their children baptized. The sacraments won’t draw people back if people totally bypass them. No! He’d do everything in his power to track down the former customers, reconnect with them, answer their objections, and re-propose his products in new ways. Q: For many parents, the problem is not that their fallen-away children hate the Church. The problem is that they just don’t care. How can a parent approach this topic if the child is utterly ambivalent? Let me recommend one simple way to spark interest in the Big Questions. Send your child a good article or video, either via email or Facebook, along with a comment like, “Curious what you think about this…” or “Have you thought about this before? What do you think?” You might grab an article from StrangeNotions.com about the existence of God, faith and science, or the Resurrection of Jesus. Or send him a link to a Bishop Barron YouTube video on the biblical undertones of Bob Dylan’s lyrics or the latest Hollywood blockbuster. Whatever you choose, don’t make it seem like you’re trying to press your faith on him. Instead, you want to come across as genuinely interested in his own opinions (which you are). The longer he formulates his opinion, the more he’ll reflect on the Big Questions. Question: Can you share a few simple, practical tips that parents should keep in mind? Vogt: Sure! After talking with hundreds of parents and young people, I’ve noticed several patterns — some good, some bad — that we can learn from. I share several in the RETURN Video Course, but let me highlight two do’s and two don’ts. You also need to stay positive. Don’t focus on all the negative things your child is doing; he’ll just tune you out. A better approach is to affirm the positive. If your child doesn’t attend Mass because he thinks it’s boring and irrelevant, affirm his desire not to be a hypocrite — that’s a good thing. Once you’ve affirmed something positive, he’ll be much more open to hearing what you have to say. In every objection to the Church, even the strongest criticism, you can find some seed of virtue to praise. Next, the don’ts. The biggest mistake I see parents make is trying to force their fallen-away child to Mass. Their only goal is to get their child’s body into a pew each Sunday morning. If they can do that, they’ve succeeded. This stems from good intentions. Most parents know Jesus is present at Mass in a special way, so they want to do everything possible to get their children to show up. The problem is that if someone comes to Mass unwilling and unprepared, it will likely have no effect on him — and it sometimes makes things worse! Children often resent being forced or manipulated to attend Mass. So next time you’re tempted to push your child to Mass, even when you know he’s deeply resistant, pull back a bit. Don’t force him, and don’t reiterate that skipping Mass is a mortal sin — that’s true, but mostly unhelpful at this stage. You must plant other seeds first so that he’ll actually desire to attend Mass. The Mass should be the last piece of the puzzle. The second thing not to do is criticize his lifestyle — at least at first. Beginning with moral commandments is often a non-starter for young people. If the first thing your child hears is “stop doing that” or “change your life” or “break off that relationship,” he will quickly tune you out. You’ll never have a chance to make a more persuasive case for his return to God in his Church. This doesn’t mean you should just watch silently and passively as your child makes bad decisions. Instead, it means your first approach should be marked by gentleness and patience, not criticism. Q: What are “Seed Gifts” and why are they so powerful? Vogt: In RETURN, I talk about the extraordinary power of “Seed Gifts.” These are DVDs, books, or CDs that you plant in your child’s life, as seeds of truth and faith, in order to spark their return to the Church. The great part is that they do almost all of the work for you. If you feel inadequate to answer your child’s questions or objections, handing him a DVD, book, or CD can be a lot less intimidating than having to sit down and explain things yourself. One of the most exciting parts of the RETURN project is that I was able to work with groups like Word on Fire, Catholic Answers, and Dynamic Catholic to compile the 12 best “Seed Gifts” for parents, in one package, at a massively discounted price. Any parent who purchases the RETURN Complete Game Plan will receive all 12 gifts including Bishop Barron’s CATHOLICISM DVD series, booklets from Catholic Answers, and books by Peter Kreeft, Matthew Kelly, and more. Q: What would you say to a parent who thinks their child is just too far away, that there’s simply no way he’ll return to the Church, that it’s hopeless? Vogt: Hopelessness is not a word in God’s vocabulary. As long as your child still has breath, there is always hope. Remember, God loves your child even more than you do. As much as you yearn for your child to comes home, God desires his return infinitely more and is continually working to make that happen, even when things appear dire. Just look at St. Augustine. By all accounts, his situation was beyond hopeless. He was a wild teenager who partied, roamed the streets, and stole food. He took a mistress, moved in with her, and got her pregnant. He didn’t want anything to do with Christianity. He openly mocked his mother’s faith. But then what happened? Monica prayed fervently for him for years, and her prayers were answered through the pivotal figure of Ambrose, who stepped in and began meeting with Augustine. Ambrose helped Augustine become open to the possibility of God, and eventually Augustine asked to be baptized. He’s now remembered not only as one of the greatest saints in history, but one of the key figures in Western civilization. God never gives up on his children and neither should you. If he could take a wild child like Augustine and turn him into a saint, what can't he do for your child? Joseph and Mary quietly rocked the child. Shepherds gathered around them. Children in costumes were enacting the Nativity of Jesus in the subterranean chapels tucked away into nooks and crannies under the Church of the Nativity in Bethlehem. A silver star marks the birthplace in a grotto right nearby. The quiet, peaceful scene in the Church of the Nativity stood in stark contrast to the situation in the Holy Land in general. There was no sign of Christmas peace. More than 20 Israelis have been killed by Palestinian assailants since the end of September. In most cases knives and other stabbing weapons were used. More than 100 Palestinians have been killed in defensive action or in violent clashes, with hundreds wounded. The upswing in violence has hurt Bethlehem’s tourism industry; the livelihood of many Christians depends upon providing food, drink and lodgings to pilgrims and selling devotional items. The Bethlehem Chamber of Commerce and Industry estimates that this year the rooms were scarcely at half their usual occupancy during the Christmas season. Given the difficult economic and political situation—as well as mounting pressure by Islamists—more and more Christian families are leaving Bethlehem and the Holy Land. The mood has been made worse now that it appears that almost 60 Christian families in the Cremisan Valley near Bethlehem are going to lose their land because of the separation barrier built by Israel despite years of litigation.